The Key of A, a St. Louis area jewelry company, recently contracted Visual Lure to design a logo for their new collection. 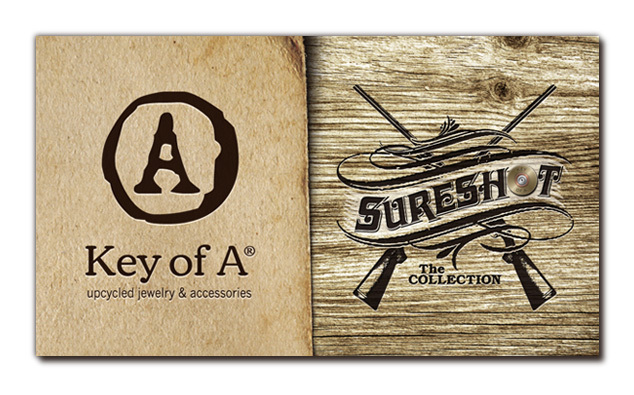 The new collection features, necklaces, cufflinks, bracelets and more – all using shotgun shells in the design. The collection’s name originated from Annie Oakley’s nickname, which was Little Sure Shot. You can check out the collection at www.thekeyofa.com or at The Key of A Etsy shop.